Thinking of renovating toxic fescue pastures in 2017? 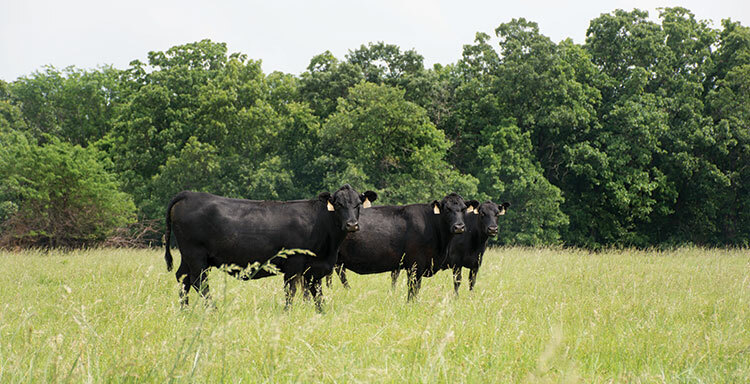 Beneficial endophyte fescue varieties offer cattle producers in the Fescue Belt an effective forage option to collectively improve pasture forage quality, enhance animal performance, and boost farm profit potential. Despite initial renovation costs being slightly higher than other forages, upward of $200 an acre in 2015, USDA Agricultural Research Service research scientist Glen Aiken said the improvements gained in animal performance make the upfront expense a worthwhile investment. Many newer beneficial endophyte tall fescue varieties exist on the market today. Cultivars such as Barenbrug’s BarOptima Plus E34 have been shown to be hardy, high-producing quality forages that promise improved average daily gains upward of an extra pound per day and enhanced reproduction in grazing livestock. As a rule of thumb, Aiken suggested renovating no more than 25 percent of an operation’s grazing acres at one time. “It’s going to depend on each farm, what their production goals are, and how intensive their system is,” said Aiken. According to Aiken, good candidates for renovation will be pastures with better soils conducive to growing tall fescue. He recommended producers leave pastures with more rocky and shallow soils, where establishment of new plantings may be more challenging, for stockpiled winter grazing instead. Witt concurred, noting toxic fescue pastures with known weed issues are also ideal contenders. Renovation provides a means to concurrently eliminate problem weed infestations. Before planting, Witt advised cattle producers do a soil test on the candidate pasture to figure out what, if any, soil amendments are needed. Starting off with a good base is a big factor for successful establishment. Along with acreage and soil health considerations, producers must ask themselves another question, “To till or not to till?” Witt prefers no-till seeding for renovated pastures whenever possible but understands this technique is not always an option for producers. Where no-till methods are possible, Witt recommended producers plan to drill seed into pastures in a cross-directional pattern, or both directions, to establish a thick stand. This practice is especially beneficial for fields prone to erosion such as hilly areas or those with sandy soils. If broadcasting seed, tillage will be necessary, but pasture managers must understand disturbing the soil surface also creates the opportunity for existing toxic fescue and weed seeds in the soil bank to germinate. Lastly, producers will need to decide on a renovation strategy. Witt explained there are a few ways to accomplish this task. The first requires less than one year’s time and consists of one to two burndown treatments with glyphosate in late summer, followed by planting a novel endophyte variety in early fall, usually in September. The downside with the short-term strategy is it is difficult to avoid germination of toxic fescue seeds alongside the seeds you are planting. There is also no way to identify later which plants will be toxic fescue and which are novel endophyte. Both Witt and Aiken agreed that long-term strategies are likely the best choice to ensure toxic seed numbers in the soil bank are reduced as much as possible. These longer term options will take approximately one to two years, depending on the approach chosen, and involve breaking up the renovation process by planting at least one cover or smother crop before reseeding to novel endophyte fescue. Witt added one side benefit to longer term renovation strategies is the ability to also graze cover or smother crops planted during the renovation period. Depending on the crop chosen, pastures do not have to be entirely out of commission. Rest assured, however, Witt said it’s not impossible for producers to get a successful stand of novel endophyte fescue with a short-term approach. These beneficial varieties have proven to be more competitive than Kentucky 31, he noted. It’s just best to consider all the factors before moving forward with renovation plans. This article appeared in the March 2017 issue of Hay & Forage Grower on page 20.